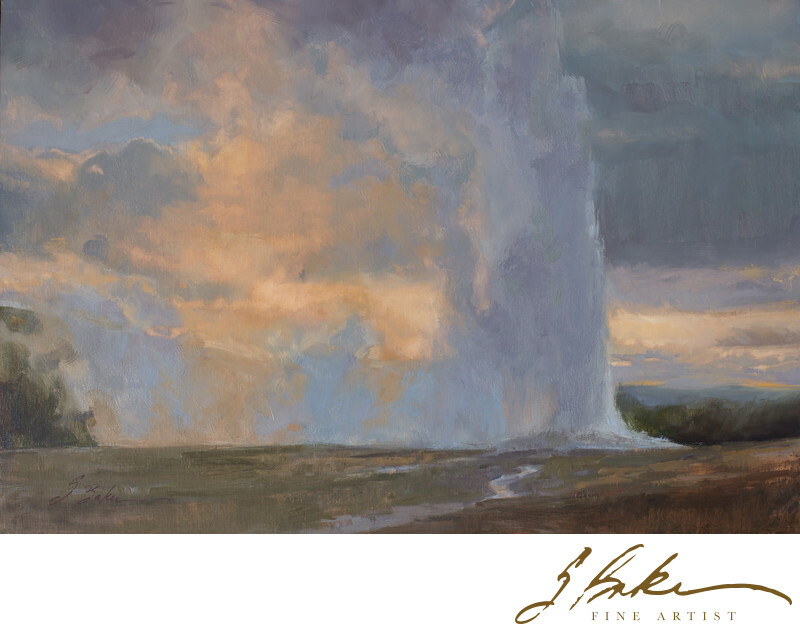 This studio painting is of a sunrise I had the honor of viewing while serving as an artists in residence at Yellowstone National Park. I painted it while in residence there in June of 2018 and returned with it in September of that same year for the inaugural Yellowstone Plein Air Invitational. It is one of the great blessings of my life to have opportunities to see and record our National Parks, "America's Best Idea."